BM Orchestral Conducting, U of Tennessee; MM Conducting, Austin Peay State U; Artist Diploma (Opera), U of Cincinnati College-Conservatory of Music. Wyman‘s teachers included Kirk Trevor, now Music Director of the Missouri Symphony and Indianapolis Chamber Orchestra; Christopher Zimmerman, Music Director of the Fairfax Symphony and Fargo-Moorhead Symphony; and Prof Dr Wolfgang Gabriel, then Director of Opera at the Hochschule für Musik und darstellende Kunst in Vienna, Austria. Wyman has held a number of professional posts, including Artistic Director, primary conductor and stage director, Lyric Opera of San Antonio and Artistic Director of Capital Opera in Raleigh, North Carolina. Recent projects include regional opera productions and concert presentation of Wagner‘s Die Walküre with the Valkyrie Project in Manhattan. 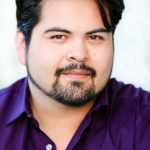 Wyman is in demand as a guest clinician for opera workshops and master classes and since 2012 has served as opera coach at the University of Iowa. He has conducted and/or stage directed: Albert Herring, Barber of Seville, Beatrice and Benedict, La Bohème, Madama Butterfly, Cavalleria Rusticana, Così fan tutte, L’Elisir d’Amore, Die Fledermaus, Lucia di Lammermoor, The Mikado, Tosca, La Traviata, Trouble in Tahiti, Die Walküre, Die Zauberflöte, u. a.